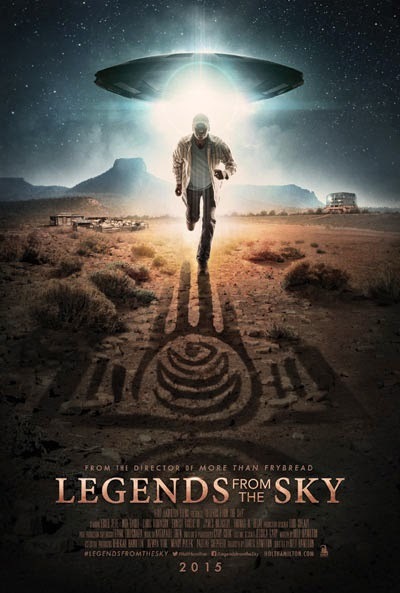 FLAGSTAFF, Ariz. - Travis Holt Hamilton's Native American science fiction thriller "Legends From the Sky" will play in Flagstaff at Flagstaff Harkins 11 for one week from Jan. 30- Feb. 5 with showings all day. "Legends From the Sky" is a science fiction movie about a Native American veteran burdened by survivor's guilt stemming from a disastrous military tour. He finds himself searching for his missing grandfather who disappears when an Unknown Federal Organization (UFO) takes over his ancestral land. The movie includes 15 minutes of spoken Navajo, subtitled as much as possible into English, between two Navajo characters. Hamilton has never had his films screened in Flagstaff despite his living in Flagstaff. He said a large portion of support for Harkins Theater comes from Native Americans. "I've been told for years that the Flagstaff 11 is a 'hot' theater in the film business and every Hollywood film wants to play there so there was never any room for a little independent filmmaker like me," Hamilton said. "So now it's a mad dash to get the word out and hopefully get a strong audience from the Native and Flagstaff communities." Hamilton shot the film mostly on location at Diné College in Tsalie, Arizona on the Navajo Nation. It was also shot on location on the Makah Reservation in Neah Bay, Washington. Hamilton said he believes showing Harkins that there is a strong audience for his films and Native films in general will make it easier to get a Flagstaff Harkins 11 screen in the future. He said he made the film for a Native audience and that Flagstaff is a perfect place to play it with its proximity to the Hualapai, Havasupai, Navajo, Hopi and Yavapai-Apache nations. "I hope people realize that Native country is indeed a strong and vibrant part of what makes Flagstaff great," Hamilton said. "This film can show that Native country has a powerful voice that needs to be heard in all realms of life, not just at the box office. But for now, the box office is a step forward in the right direction." Other movies by Holt Hamilton Productions include: "More Than Frybread," "Turquoise Rose," and "Blue Gap Boy'z."